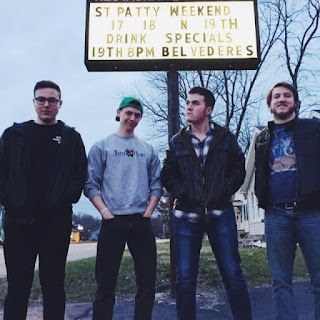 On its latest release, "Beggar's Heart," the passion that Chicago band The Belvederes pours into its music is on full display. The band with perform on May 28 at FitzGerald's, 6615 W. Roosevelt Road, Berwyn. Bart Alonzo also is on the bill. The show starts at 9 p.m. and tickets are $10, available at www.ticketweb.com. I had the chance to talk to frontman John Ford about the band's latest activities. Q - Great talking to you. 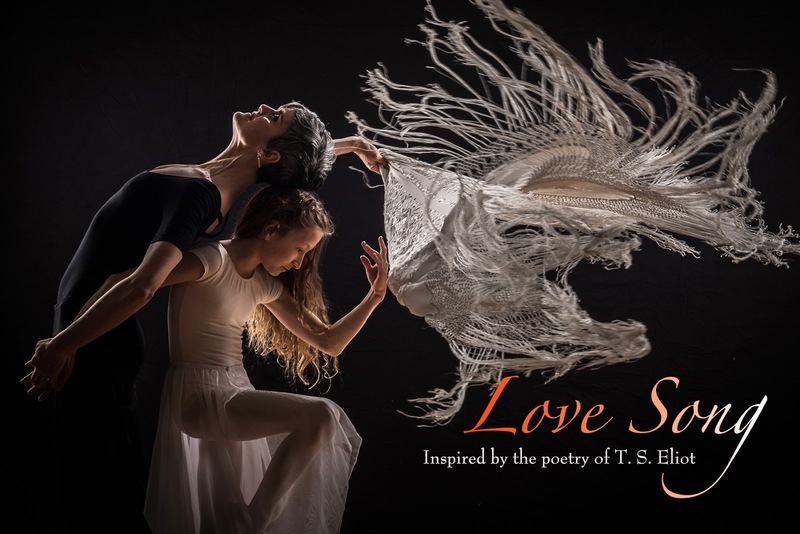 "Beggar's Heart" received rave reviews after it was released last year. In sitting down to make the album, what were your goals and do you think you accomplished them? Great talking to you as well! I think our main goal was to make a record that really captured who we are as a band. Our first record was more of a four-on-the-floor rock record, but there’s a lot more to what we do, rhythmically and dynamically. We really wanted to capture the feel of our live set, and I think we did that. Q - You have been labeled as an Americana band. Do you think that is an accurate label? How would you describe the band? I would describe us as a roots/rock & roll band. I like the term "roots," because it covers a lot of ground. Everything from blues to R&B to country to jazz to rockabilly to folk. And everything in between. Q - The band also is known for its energetic live shows. What do you try to do with your shows? Which do you like better - being in the studio or on stage? Or do you need both in your life? We’ve always loved playing live. It’s been such a huge part of who we are for such a long time now. There’s no better feeling than connecting with an audience. It’s such a beautiful give and take. Working in the studio is a totally different discipline, because you don’t have that. So you have to learn how to work without that feedback. It takes a while to get used to, but we had such a great experience making this record. We made it with our good friend, Teddy Thornhill at Jay’s Garage in Chicago, and it couldn’t have been more comfortable. Q - Who are your biggest musical influences and how have they influenced your music? That’s always a tough one! There’s just so much. The obvious answer that comes to mind is The Beatles – being a four piece rock & roll band with heavy vocals. But there are so many. We all bring something a little different to the table as far as influence goes, but there’s also enough overlap to keep us from disagreeing on what we want to do musically. Q - Soul seems to be a big part of the band's DNA. It seems like there has been a soul revival in the last few years. Why do you think the genre is enjoying newfound popularity? I think the really good stuff ultimately stands the test of time. Ray Charles will never not be cool. Aretha Franklin will never not be cool. I love that soul music is as popular as it is right now – people like Leon Bridges, Nathaniel Rateliff – it gives me hope for a band like us, ha ha! Q - But you also dip into a lot of other genres, such as rockabilly, honky-tonk and power pop. Do you have a favorite genre? I think they’re all fingers of the same hand. It goes back to what I was saying about the “roots” label. To me, all of those things work together really well. I could never be a purist in any genre, because I’d get really bored really quickly. There’s too much good stuff out there to limit yourself to one thing or another. We love playing in Chicago. There’s a lot of love for roots/Americana music here. Particularly venues like FitzGerald’s and Martyrs’. Places like that are great for what we do. And there’s so much more. Obviously a ton of blues and jazz. Q - What is the chemistry like in the band? What do you think each member brings to the table? I couldn’t be happier with the chemistry we have as a band. We’re four completely different people who just happen to think and feel the exact same way about this one thing. The friendship’s got to be there, otherwise you’re just four players. You’re not really a band. That’s the thing that really attracted me to The Beatles. They had that camaraderie. We really just want to play as much as we can. We’ve been writing/demoing new material, so we’d love to get back in the studio sooner than later. But in the meantime, we’re trying to stay as busy we can with the live shows. Ultimately, we just want to continue to improve as much as possible. All the Wine's raw but melodic sound is in full flourish on the band's latest EP, "Heavy Lights." The band will perform May 27 at the Bottom Lounge, 1375 W. Lake St., Chicago. The Flips, Pat Egan and the Heavy Hearts, Lever and Chase Aways also are on the bill. The show starts at 7:30 p.m. and tickets are $10, available at www.ticketweb.com. I had the chance to talk to All the Wine singer/guitarist Danny Cozzi about the upcoming show. Q - Great talking to you. You released "Heavy Lights" last year. In sitting down to make the EP, what were your goals and do you think you accomplished them? I wanted to make a record with a bigger sound than our first EP. I was listening to Restorations a lot while writing those songs, and hearing how booming their guitars and drums are really inspired the energy we had going into the studio. Heavy Lights by All the Wine I think that comes through on the record. Q - Is there a story behind the name of the EP? A lot of significant moments in my life took place at night outside, usually during the summer. I try to recall every detail of those experiences when I write, and remembering how things appeared is an important part of that. The way everything looks under a streetlight in your neighborhood or along an empty highway at three in the morning deepens that wistfulness for me. Q - The band formed in May 2013. What made you want to form the band in the first place and what do you think each member brings to the band? Really, I had just wanted to be in a band. I'd spent so much time thinking about pursuing music but not really doing anything about it, so when I met Matt, I brought up playing together almost immediately. As a band we all blend together well.I'm an idea guy, and when something excites me I go to them saying, "I want to do this. I want to do this now and I'm not gonna stop until it happens." Matt brings a lot of questions and pragmatism to what we're pushing for, which we need sometimes because I can be groundless if I get into my own head too much. Brandon, along with being an excellent guitarist, provides balance. If we all disagree on something he's very good about finding a middle ground. As for Shabbir, man, he is one wild dude - and a fantastic performer. He brings a lot of energy to the band, both on and off the stage. We pull a lot of influence from melodic punk bands like Against Me!, The Gaslight Anthem and The Menzingers. The Mountain Goats became a big one for me in early 2015, and helped shape a lot of ideas on "Heavy Lights." Ultimately, anything that's raw and emotive will have me thinking, "We need to do more of this." That happens a lot. Q - Is the band working on new music? Should we expect a full-length album soon? Yes, but not too soon! We're in the middle of writing the material for our first LP, and hitting the studio as soon as it's ready. But, we will be releasing a new song called "Letters to Laura" this summer. I'm awfully excited to put that one out there - that song is special to me. We love being a Chicago band. We feel right at home, because we've all been involved in music or going to shows around here for a long time. And this city is so big that you're always making new friends wherever you play. It's kind of funny to go out and meet a band you've never heard of before despite running in the same circles. Then at the next show, you'll meet another band and learn you have tons of mutual friends. I think those surprises are a big part of why we love it here. "Rough Around the Hedges," the third album by Chicago band Hood Smoke, offers further proof why the group is one of the most compelling bands on the local music scene. Hood Smoke will celebrate the release of the CD with a show on May 20 at The Hideout, 1354 W. Wabansia Ave., Chicago. Makaya McCraven also is on the bill. 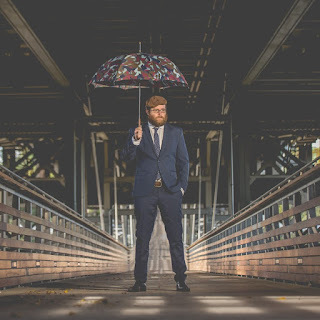 I had the chance to bandleader Bryan Doherty about the new album. Q - Great talking to you. "Rough Around the Hedges" is the band's third album. In sitting down to make the album, what were your goals and do you think you accomplished them? The goal was to get a solid representation of each song. Some took longer than others but we ultimately succeeded in accomplishing fine final performances we thought to be compelling. Q - The album's title seems to be a play on words. Is there a meaning behind the album's title? Dusty Bottoms (Chevy Chase) has this great line where he's trying to play it cool with the villain, El Guapo, and says "...We pruned the hedges..."
Q - What do you think each band member brings to the table, including singer Sarah Marie Young? How did the band come together? Everyone is so accomplished on their instrument, and everyone in the band has such great time. Michael Caskey, the drummer, has just about the greatest time, or feel, and we've always linked up well. Q - I know you started playing bass when you were 12. What drew you to the instrument in the first place and what have you tried to do in your playing? Have you modeled your playing after any bass players in particular? I played guitar and piano in fourth grade and was tinkering with what was new at the time, the composition software Finale. The orchestra teacher needed a bass player for the orchestra and asked if I'd be interested, given my ability, to play a couple different instruments. Q - You have been in Chicago for several years now. How do you think the Chicago music scene compares to the Milwaukee music scene? How do you think you fit into the Chicago music scene? I've lived in Chicago since 2003 so, unfortunately, I wouldn't be the one to ask about the Milwaukee scene. I know that when I was there, there was a wealth of musical information at my disposal. I was fortunate enough to get some education at the Wisconsin Conservatory of Music where I studied with such greats as Mark Davis, Berkeley Fudge, Dave Bayles, Victor Campbell, etc. I also attended the Milwaukee High School of the Arts where I met a plethora of amazing musical peers. I'm not sure how I'm fitting into the Chicago music scene but I hope I am fitting in at all, I suppose. I think after hearing Bob Weir sing at Soldier Field, my new dream is to play a tune with him. I love how his voice soars over a big venue. 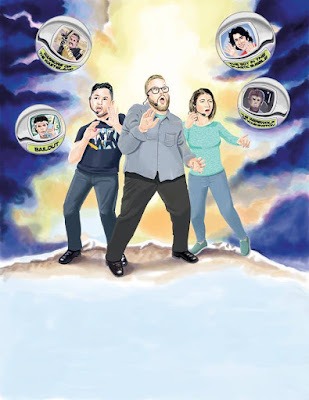 Ricky Glore, Kyle Encinas and Kit Rivers are willing to make the ultimate sacrifice - to sit through bad movies so you don't have to. 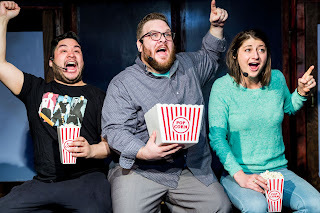 They will do just that when Cinema Sacrifice Theater opens at 8 p.m. May 31 at The Public House Theatre, 3914 N. Clark St., Chicago. Tickets are $10, available by going to The Public House Theatre's website at www.thepubtheatre.com. Every month, Cinema Sacrifice Theater will discuss a different movie. 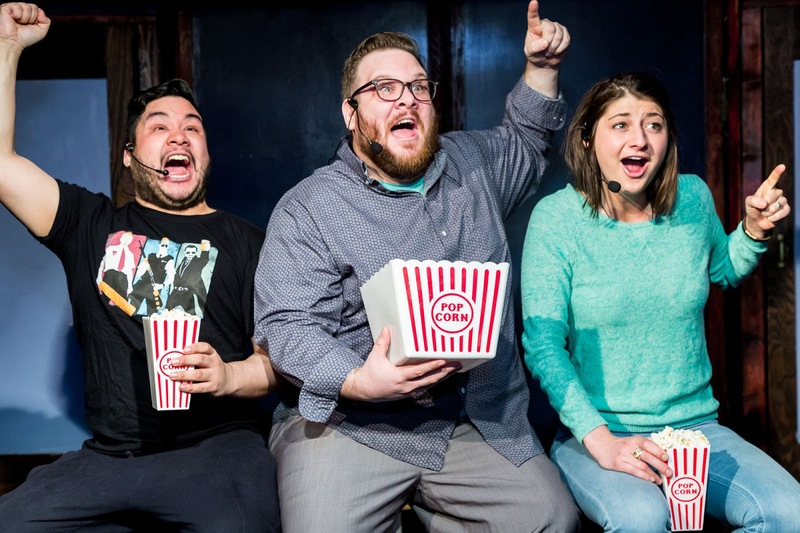 Cinema Sacrifice Theater is produced by We ARE Productions, which has brought hits "A Nightmare on Backstreet: A Boy Band Horror Parody," "Maul Santa: The Musical," "Babysitter Massacre ’78: The Musical" and "Bates: An '80s Psycho Musical Parody" to the The Public House Theatre. I had the chance to talk to Glore, Encinas and Rivers about the upcoming show. Q - Great talking to you again. 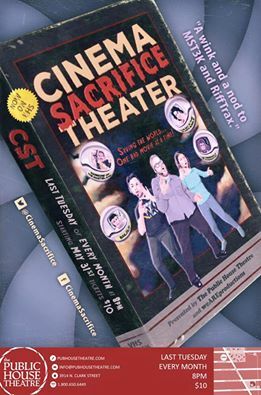 How did you come up with the idea for Cinema Sacrifice Theater? Are you fans of shows like "Mystery Science Theater 3000" and "RiffTrax?" KE: I'm a big fan of MST3K and consider it formative in my comedy education. RG: MST3K was very much part of my comedy upbringing when I was a kid. I was first introduced to the movie by my brother Eric, and then was hooked. I started watching episodes of the television show on Comedy Central. Later, after MST3K was off TV, I still followed the creative minds, as they went on to things like "RiffTrax," "Cinematic Titanic" and "The Film Crew." Being someone who loves movies, nothing is better than sitting around with a bunch of friends, and making your own commentary, during the film, if there is an absurd moment, or something that make everyone chuckle. Having show’s like "MST3K" and "RiffTrax," makes “movie riffing” an acceptable form of comedy, kind of like improve or sketch. Q - Which movie will be featured this month and why? KE: "Warriors of the Wasteland." RG: It’s a 1983, Italian, post-apocalyptic, "Mad Max" rip-off. KE: With the impending possibility of a Trump presidency looming, we thought it only fitting that we do a film that would most closely resemble the Earth after four years of a Trump presidency. Q - How will the format work? Will you be playing the entire movie or just select scenes? KR: There will certainly be movies that will have to be edited, mostly for time and content, but also just if we decide something is too horrific to watch. Shows like this always will change and alter once you see what is working and not working with your audience, but ideally, we want the audience to be able to both follow the plot of the movie as well as enjoy our riffs and potentially even the movie! Q - What is the criteria that you will use in determining that a movie is bad? Are there some movies that are so bad that they are actually good? KE: I think the goodness or badness of a movie is defined by the passion put into the project. Sometimes that heart can turn a purely bad movie into a movie that's so bad it's good, because it has uniformity of its vision. And sometimes it's lazy filmmaking and inability to recognize when things are starting to turn. That doesn’t make it a good movie, but that just means the audience will only have more fun watching how we save bad movies or attack their personal favorites. We do this show because we truly believe there are no bad movies, only bad movie watchers. RG: One of my favorite quotes from MST3K, is that when they were asked, “How do you watch the worst movies in the world? ?” And they would reply that the movies they riff, aren’t the worst. It’s really hard to stay engaged, and even mock a truly terrible film. There has to be something fun and quote unquote “good” about it, for it to be riffed. An example that I love, is that Ed Wood’s "Plan 9 From Outer Space," is considered by some, to be the worst movie of all time, where in my opinion, it is not even close to being Ed Wood’s worst movie! It’s fun to “hate” a bad movie, but it is not fun to have to sit through a begrudgingly bad movie…does that make sense? Q - Are you hoping for a lot of audience participation? Will you be taking suggestions from audience members on what movies to feature in the future? KR: I think there will be lots of fun opportunities as we develop to engage audience members in games that we play or even helping us yell at the movie screen when certain movies practically demand the absurd from the viewers, we could even do some improvised riffing from audience members during a particularly dull fight or love making scenes! 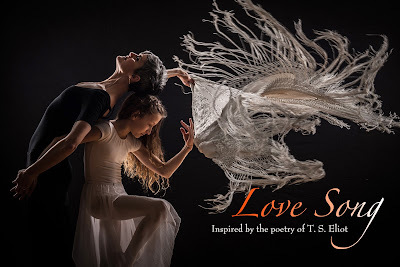 This show is beautiful because it has the ability to be familiar in its format and yet a completely different experience every time you see it. Q - How long would you like to see Cinema Sacrifice Theater run? RG: For our first show, when we show "Warriors of the Wasteland," we were lucky to get in touch with one of the stars of the film, Giovanni Frezza, and he has agreed to make an appearance and introduce the film. Our movie in July will be the TV film, "Dawn: Portrait of a Teenage Runaway," and the director Randal Kleiser, (who also directed "Grease,"), has agreed to film an introduction to the movie. I hope we keep doing this long enough, that we get to incorporate more and more celebrities from the movies we present. KE: Decades. Until the our genius is recognized. 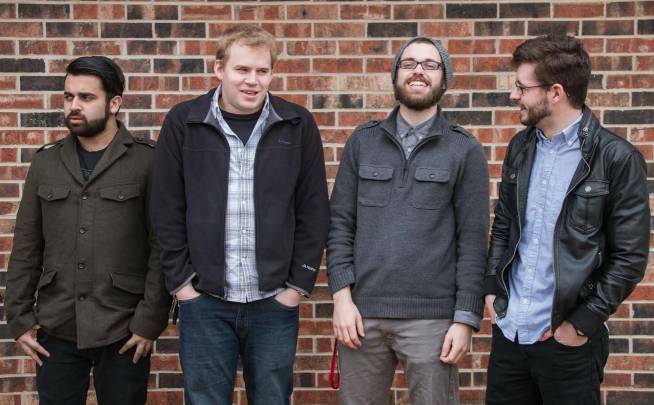 With a vast amount of experience in the studio and on stage, the members of Chicago band Hyperplane are carving out their own niche in the local music scene. Hyperplane will perform May 20 at the Cubby Bear, 1059 W. Addison St., Chicago. B Fraze, YOKO, Element and Joe Renardo also are part of the bill. The show starts at 8 p.m. and tickets are $7 in advance, $10 at the door, available at www.ticketweb.com. I had the chance to talk to Hyperplane keyboardist Dave Bills about the band's latest activities. Q - Great talking to you. The group released its self-titled debut last year. In sitting down to make the EP, what were your goals and do you think you accomplished them? Our primary goal with any recording is to create a “frozen moment in time," so to speak. The songs are like photographs, capturing whatever we were thinking about or going through at the time. With the addition of two new members, we wanted a snapshot of that initial energy that comes from working together in the studio for the first time. I may be biased, but I think we accomplished our goal. Q - I know the band previously was called Joy Missile. What was the reason for the name change and do you think Hyperplane better describes the band? 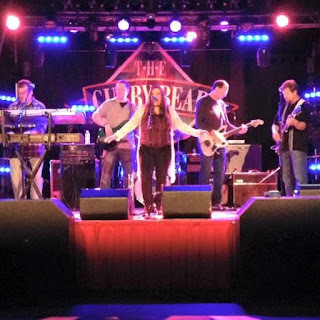 Since we had recorded the first two CD’s with Colleen O’Mara on vocals and Ed Monson on bass, we all agreed that both Cheryl and Dave brought about a significant enough change in the overall sound and vibe to merit a new name and a fresh start. Q - Singer Cheryl Rodey and bassist Dave Huber joined the band in 2014. What do you think they bring to the band? Cheryl is a multi-instrumental dynamo and fantastic singer/songwriter in her own right. Her ability to pick up on melodies and harmonies and take them to another level is really a sight to behold. We’re lucky to have her, and the same goes for Dave. His style on the bass is so fluid and effortless that it just pulls everything together and locks it in. Q - You've performed with such bands as The Fixx and Toots and the Maytals as a member of previous groups. What did you learn from such experiences? That we’d like to play more shows like that! Seriously though, it’s always a privilege to open for bands you grew up listening to, and the energy you get playing in front of a larger crowd always makes the show that much more enjoyable. That being said, we play with the same intensity whether it’s for ourselves in Sean or Jon’s basement, in front of a handful of dedicated fans on a cold winter’s night at Elbo Room or if we’re opening for someone established. Q - The EP is dedicated to your brother, Mike, who disappeared about three and a half years ago. How would you say that the disappearance of your brother has influenced your writing? Mike was a tremendously talented artist who had a hard time finding his place in this world. His disappearance had a profound effect on me and my family. Trying to explain to my kids where their uncle went may be the hardest thing I’ve ever had to do as a parent. Some questions never get answered. Learning to accept that reality has influenced these songs and given them a bittersweet edge that may not have otherwise been there. Q - Is the band writing new music? When can we expect a new CD from the band? Absolutely! We have a number of new songs ready to go and will probably head back into the studio this fall and release late this year or in early 2017. We love the Chicago scene and have been playing here for most of our lives. Chicago makes you work for it and I think we're a better band because of it. The members of the band Yes were heralded as musical innovators in the 1970s for fusing rock with classical music. Former Yes frontman Jon Anderson continues to seek out new musical adventures, recently teaming up with pioneering violinist Jean Luc Ponty to form the AndersonPonty Band. The band is touring in support of its CD/DVD "Better Late Than Never," and will perform at 7:30 p.m. May 11 at the Arcada Theatre, 105 E. Main St., St. Charles. Tickets start at $39, and can be purchased at the Arcada's website, www.arcadalive.com. I had the chance to talk to Anderson about the upcoming show. Q - I know that you had approached Jean-Luc back in the '80s wanting to do something with him. Why did it take so long to finally do something together? There's always something else to do. I was on the road with Yes for 35 years, so that took up all my life. We're both in our 70s, and we're more excited about life and music than ever. Q - What is it about what Jean-Luc has done in the past that made you want to work with him? He's worked with the best. He worked with [people like] Frank Zappa and Al Di Meola. He performed with all these great musicians. Q - I know that "Better Late Than Never" features performances from your September 2014 show at the Wheeler Opera House in Aspen, Colorado. The CD features new versions of Yes songs along with new songs and some of Jean-Luc's songs as well. As far was what you tried to do with the Yes songs, what was your idea in re-working them? To me, "Time and a Word" kind of has a Jamaican feel to it. To just enjoy them. There's no point in trying to sound like Yes...I wanted to do the songs in a new way and a fun way. I've being doing a reggae version of "Time and a Word" in my solo shows. People enjoy it. Q - What was the chemistry like working with Jean-Luc compared with working with members of Yes? He's an incredible musician. We're brilliant friends together. He's like my brother. I used to have that connection with Chris Squire and I used to have that with Steve Howe. But times change. Life moves on. Q - Speaking of Chris, everybody was shocked upon hearing of his death. I imagine it must have been shocking for you as well. When I heard he was really sick, I got in touch with him and thanked him for a lifetime of making music together. And we both agreed that without each other, we wouldn't be doing what we are doing. I was so blessed with having him in my life. Q - I know you reunited with Rick Wakeman in 2011. How was that experience? It was incredible. I was working with a friend and we were just having a good time and having a good laugh on stage. And we were very, very good together musically, because we're professionals. 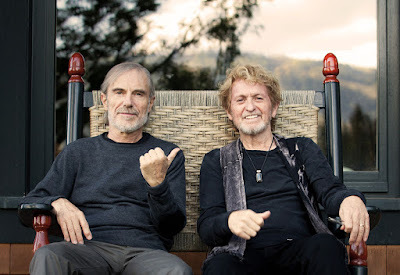 Q - Do you see yourself reuniting with any other members of Yes in the near future? No, just Trevor (Rabin) and Rick. That's enough. Q - I know you will be teaming up with Roine Stolt for the album "The Invention Of Knowledge," which will come out in June. How did that collaboration happen? Well, we met two years ago on a progressive rock boat trip out of Miami to the Bahamas. I went to see this band called Transatlantic, a very, very good band. And I met the guitar player, Roine. Last year, we started working on the music. I really knew what I wanted to do, and we just finished mixing it, and it is sounding very, very special. We only met once two and one-half years ago, and we met just four days ago in L.A. to do a photo shoot. So we did everything through the Internet. Oh, the wonders of modern technology. A lot of people are really, really excited about the album. There are 17-minute and 23- minute songs on the album, as the way music sometimes should be. The songs shouldn't always be just three- or four-minute songs just for the radio. People who have heard it say, "This is so Yes." Q - So you like being able to expand a little, not just feel like you have to put out a three-minute hit? I was always interested in long pieces of music, like "Close to the Edge" and "Tales from Topographic Oceans."